John Lewis is a chain of department stores that conveniently offer a number of different brands and items, ranging from suits to stationary. Many of the stores also host a Waitrose, meaning you can get cheese and crackers with your suit and a bottle of wine with your stationary. Should you feel so inclined. The problem with John Lewis, is that there aren’t that many stores around. Reaching one can turn into quite a hike, depending on where in London it is you live. And we all know what it’s like to fight foot traffic on the tube and real traffic over ground. It can get stressful, particularly if you’re in a hurry. So what to do? Use Pinga, of course! Pinga will connect you to a number of nearby Pinga partners, who will be happy to assist you with whatever you need. If you need something from John Lewis, you simply put out a request and any one of the Pinga partners able to help will respond. After that, it’s only a matter of minutes, or hours (depending on where you live) till you receive your shopping from John Lewis. There’s no minimum order either, so if you just want that one tie, that’s not a problem. And if you want twenty items instead of one, that’s not a problem either. Rather than order online at John Lewis and wait for days for delivery, you can order with Pinga and have your order right away, given it’s in stock. John Lewis is, of course, great for last minute gifts. Particularly if you don’t have to go into the actual store, as there’s no risk you end up buying five gifts for yourself at the same time. It’s normally the price one pays for walking into a good department store. Pinga is easy to use — all you have to do when you need something is to put out a request and wait for someone to reply. And they will. Usually within minutes. Pinga delivers any items from John Lewis today. 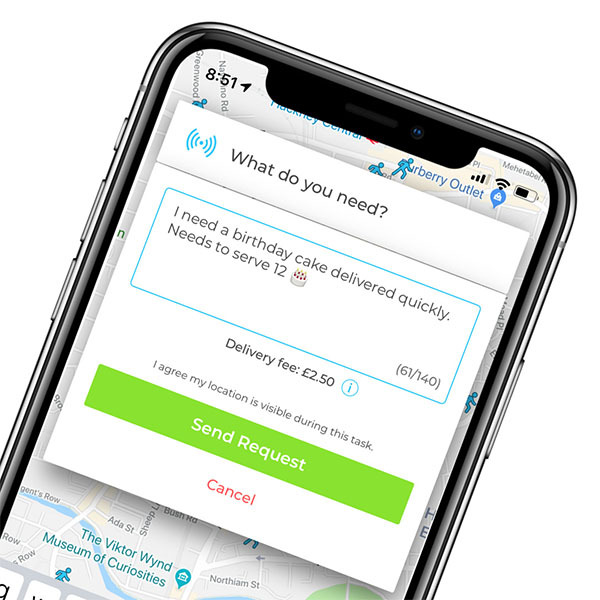 Infact our service normally delivers within an hour, so if you’re looking for same day delivers from John Lewis, send your request via the Pinga App. Describe what items you needs to be delivered from John Lewis and send your request. Pay securely within the app and receive your John Lewis items to your door!